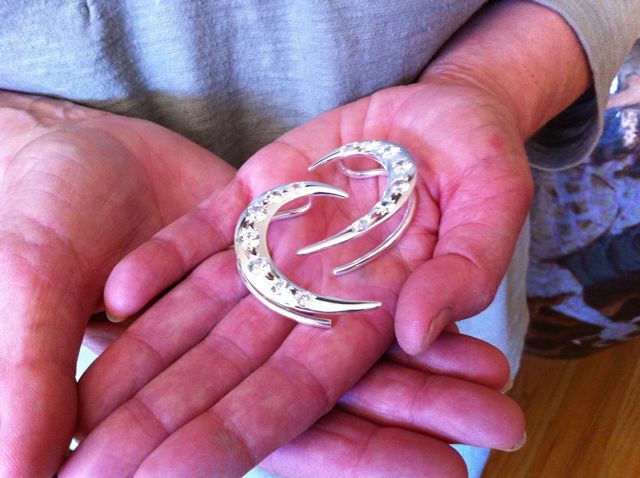 For those of you who do not know, I designed the Crescent and the Moon Ear Wraps that Prince wears. I don't recall the exact year that I made the connection with Prince, but it was sometime in the mid 1990's. For over 30 years, I've owned a booth at the Maryland Renaissance Festival, outside of Annapolis. The fair itself, runs 9 consecutive weekends from late August through late October. My manager at the time, was a friend of a graphic artist who did work for Paisley Park Studios. This man purchased a sterling silver, Wave Ear Cuff from my booth and wore it back to Paisley Park studios where Prince noticed it. Apparently, Prince liked it, since the graphic artist returned the following weekend with instructions to pick up one of each of my ear cuff designs. A few months later, I got a phone call from Paisley Park Studios inquiring to the cost and production time for of 250 sterling silver Wave Ear Cuffs and 300 Moon Ear Wraps? I secured the order and delivered the goods on schedule, but it was a stressful three weeks of production. My ear cuffs were available for sale on Princes' web site and at their members parties. Prince and his band all wore pairs of the Moon Ear Wrap and Prince was featured wearing the Crescent Ear Wrap on the April 2004 cover of Entertainment Weekly and the May 2004, cover of Rolling Stone Magazine. Soon the studio was having me produce quantities of his Symbol in pewter for sale both on his web site and at the concerts. Eventually, Prince requested a custom Crescent Ear Wrap design, similar in shape to the original Moon Ear Wrap but without the face. He now wears pairs of the Crescent Ear Wraps, each set with 7 CZ's. In 2004, the year that Price was inaugurated into the hall of fame, I created two custom "Blings" and hand delivered them to Mayte, his wife at the time, at a concert at the Shoreline amphitheater. We were comped 4 tickets and Mayte graciously thanked me and my family, shaking the hands of my son, daughter and husband; acknowledging their help in the fulfillment of the many orders. 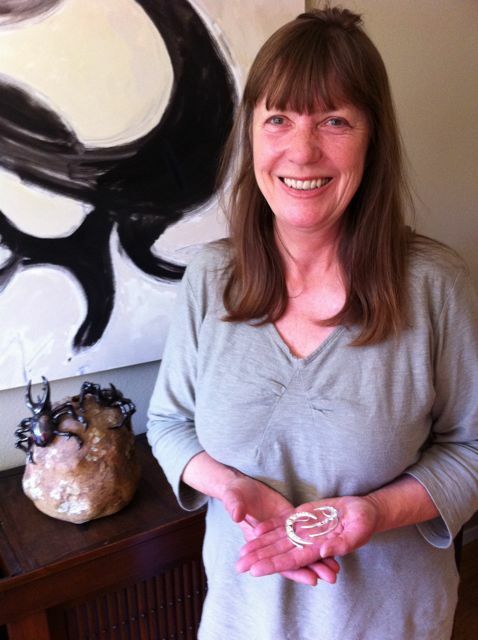 For years, when I would receive a large order for his symbol pendants, I would hire both John and Alisha to chain and package the finished pendants. Just putting 1000 chains on 1000 symbols and slipping each into a zip lock bag took several hours. I still get occasional calls or e-mails from Paisley Park when Prince needs a replacement set of Crescent Ear Wraps or a custom pair of cufflinks.